Christened the “Thunder Bucket,” this ultra-cheap sailing dinghy was cobbled together by professional boat builder Bill Tosh from used pallets and five gallon buckets. 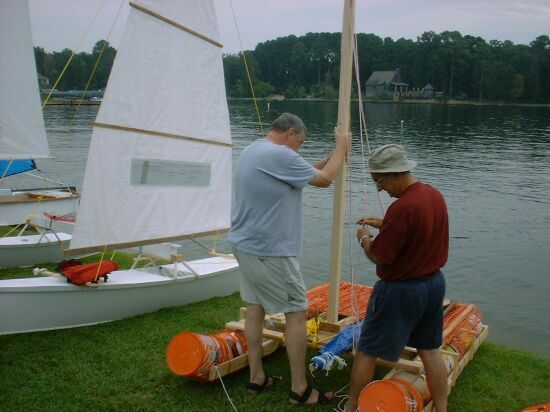 With a tarp for a sail and a 2×4 mast, the boat only cost $29.18 to make. Instructions on building one of these aren’t published, but you can read the boat’s story and see more pictures at pdracer.com.